This is written more as it is a cross-post to Facebook than anything else. I didn't want to stop reading. Work and sleep be damned. I wanted to devour day one in just a day, but I'll have to settle for three. 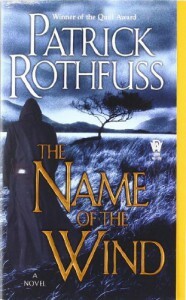 If you enjoy reading fantasy and you're on my FB, find this book and read it. If you're having trouble locating a copy, I'll loan you mine. I guarantee you won't be disappointed.